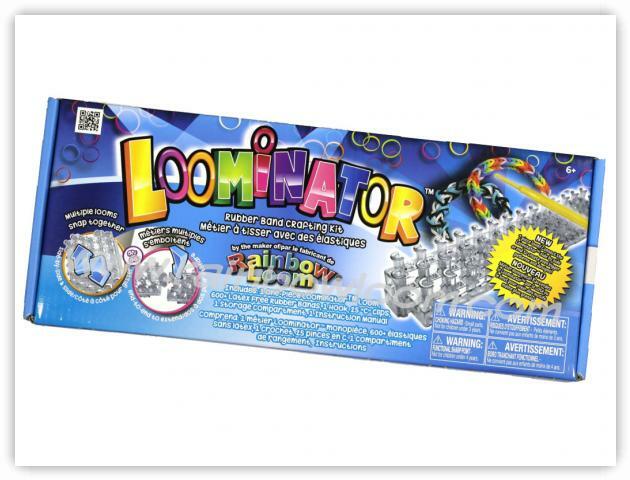 Another product in the Rainbow Loom lineup is the Loominator which they seem to be positioning for loomers who want to make elaborate designs. This loom is molded from a single piece of plastic with staggered 14 columns in 3 rows, for a total of 42 pegs. It can be combined with additional loominators either end-to-end or side-by-side. The Kit includes the loom, 600 elastic bands, 1 plastic hook and 25 C-Clips.